Ordering food can sometimes be a huge pain – it can be expensive, time-consuming (an hour to deliver noodles, seriously?!) and can be harsh on your tummy too. However, making food by yourself is, of course, healthier, quicker and good for your pocket. Yes, we’re talking about easy, budget-friendly meals that you can actually look forward to and make in your own kitchen. Moreover, if you are one of those who are watching their weight, it is especially beneficial for you, as you become more mindful of what ingredients are getting into your food. Cooking food for yourself sounds intimidating, but once you start doing that, you will see that it’s not that difficult after all. Trust us when we say, if you learn how to make food, your life will definitely be easier. However, before you get into the real world of cooking, you must set or organise your kitchen. Right from important kitchen ingredients and foods like eggs, milk, bread, oil, lemons, et al to important spices like cardamom, black pepper and cinnamon and to important tools and cookware, you need them all! So, whether living and cooking solo for the first time or in need of a kitchen overhaul, we have picked the best (and most necessary) tools to wine and dine like a pro. Eggs: If you don’t have a carton of eggs in your refrigerator, then put them at the top of your grocery list. Eggs are an essential in the kitchen, as they can be prepared in so many different ways. Tomatoes: Just like eggs, it is quite important to have tomatoes in your kitchen, as they can be used for preparing various dishes. Cheese: This creamy ingredient can be sprinkled, sliced and placed on practically anything and it will taste just delicious. Mozzarella and parmesan cheese are must-have in your kitchen. 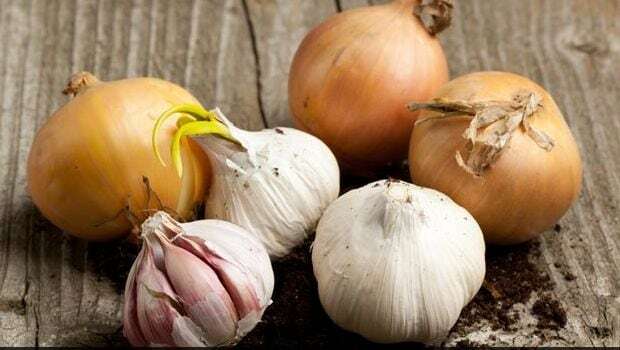 Onions, Garlic and Ginger: Onions are root veggies that are known to add flavour. Garlic is known to enhance the flavour of any dish. The place of garlic is irreplaceable; be it in Indian, American or Chinese cuisine. Ginger is used as a spice that adds flavour to dishes. How to make food: Onions are known to add flavour. Garlic is known to enhance the flavour of any dish. Rice or Quinoa: If you have a grain in your cupboard, then you need not worry about any other healthy food. Rice and quinoa can act as a solid substitute for most pasta dishes, and are perfect substitute for those who are allergic to gluten. Greens: Take your pick of greens; from lettuce to romaine, spinach, broccoli, kale, cabbage, bitter gourd, et al. They are all healthy and super-handy when you need your fill for vitamins, minerals and fibre in your diet. Vinegar: Vinegar is a great condiment to keep in stock. From making pickled-onions to preparing salad, Asian cuisines and much more, you can use it for so many things. Popcorn: A great low-calorie snack that you can have anytime and anywhere, be it movie nights or a small get together at home. And, the best part is that you can top it with anything, from fresh herbs to butter or caramel. 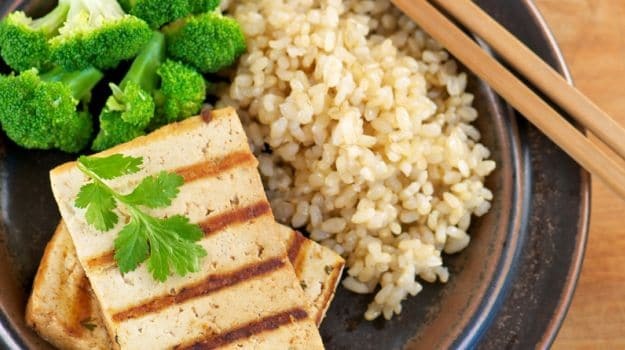 Chicken or Tofu: Whether you are a non-vegetarian or vegetarian, it is important to keep some form of protein in your refrigerator. Flour: Having flour in your kitchen gives you a lot of choices like baking, making chapatis (breads), coating for food when frying, et al. Moreover, flour is known for thickening any liquids or sauces. Oil: Cooking oils like olive oil, sunflower oil, mustard oil and canola oil are great sources of good fats that our bodies need to stay healthy. Lemons: Lemons are great for cooking fish and meat as well as for making some cooling drinks like lemonade and mojito. Lemons also go perfectly with fresh greens and other veggies. Sugar: A must-have ingredient for baking cakes, drinks and cooking. Salt: It has some minerals and nutrients that are essential for the body to stay healthy. Honey: Honey is a must-have food in your kitchen. It can be eaten directly or can be mixed with lime juice. Tea/Coffee: Kick-start your day with a quick refreshment like hot coffee or tea. Move over Ranveer Singh, Neena Gupta teaches how to rock tracksuit look.